I’m doing the recording mainly at the Miacon Recording Studio in leafy Horsell. I had the first exploratory session earlier in June, and the studio owner and engineer Neal Leggett and I seemed to hit it off quite well. It’s also plain to see he knows what he’s doing, so I decided to base the bulk of the album recording there. Neal’s studio is in an outhouse at the end of his garden so it’s quite small, which suits me as most of the sessions will be solo affairs, with just me and Neal in the sudio. 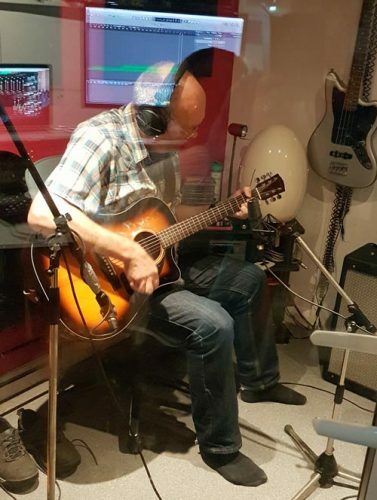 Some of the songs are going to need to be started with bass and drums, so I’ll need to record those parts elsewhere – probably Water Rat Sudios in Sheerwater, which has a nice live room. After that, I can transfer the recordings to Neal’s studio to add various overdubs, vocals etc. 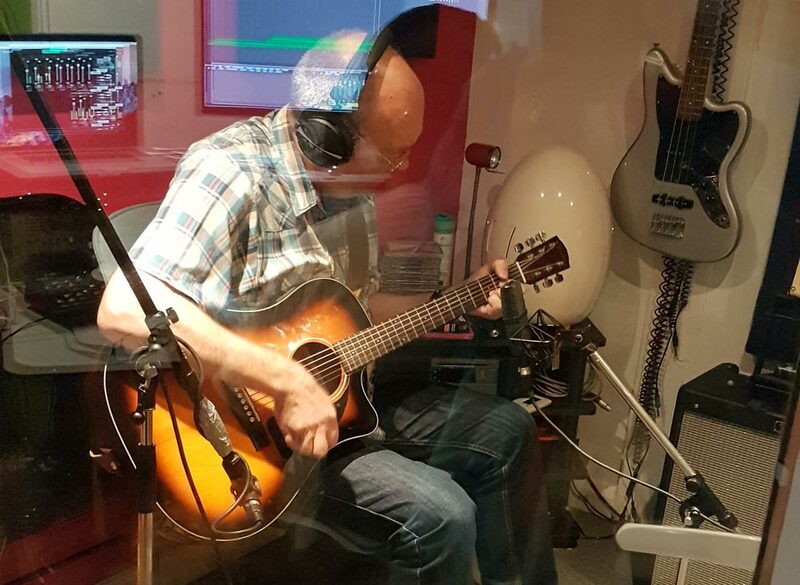 During the first session earlier in June I recorded the acoustic guitar backing tracks for ‘Got to be This Way’. Last night I did the same for two songs – ‘Found My Way’ and ‘Through This Night’. It’s too early to share any of the work in progress yet but I hope to remedy that soon once I start recording the vocals. For this album I’m going to be mainly visiting the studio for 2 – 3 hour sessions, rather than mammoth all-nighters. It suits me to do it that way, I find you can get tired in longer sessions. Anyway I hope to have more news on the recording soon.